The lightest shoe in the Traverse X approach series, dedicated to the climbing community, meets the requirements of grip, protection and lightweight, essential for technical approach routes. 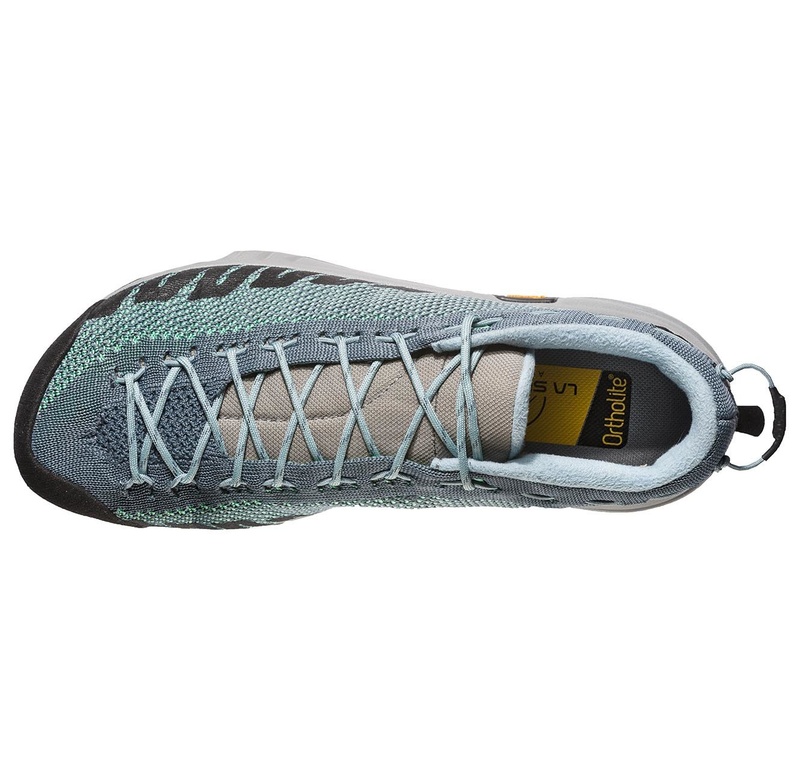 Designed for multi-pitch routes and for attaching to the harness, thanks to the C2 Combo Cord ™, that allows to hook the shoes to the harness quickly and compactly. TX2 is the lightest technical approach shoe in the approach/multifunction Traverse X series: designed for mountain trails and for hooking onto a harness thanks to the C2 Combo Cord™ system that allows you to store the shoes quickly and compactly. 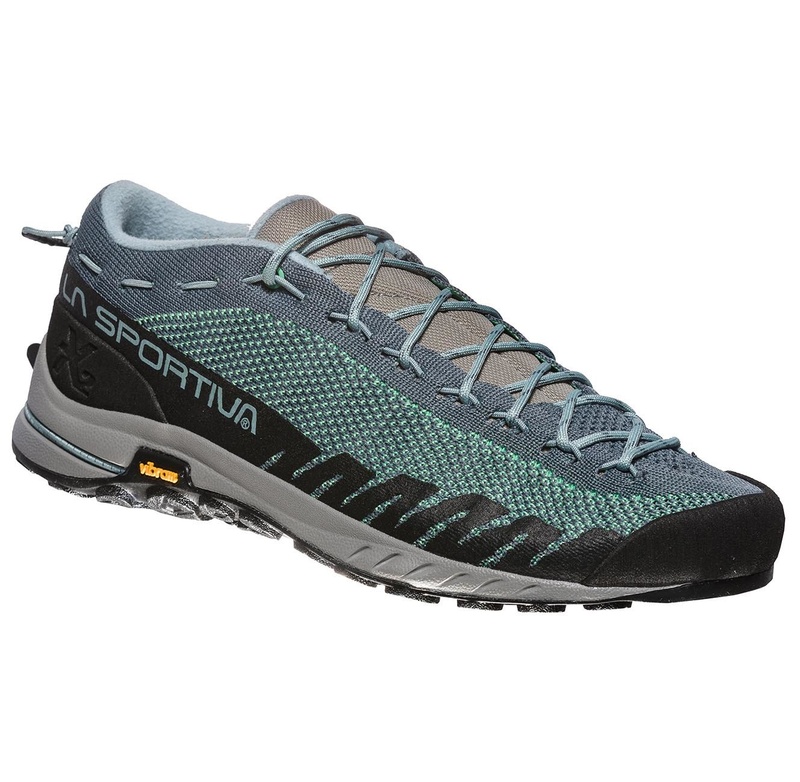 Every detail is designed to guarantee lightweight, grip, comfort and protection during the approach phase and to allow the shoe to be used on more technical terrain in the mountains, right to the base of the wall. The boot has essential design uppers with no stitching in elasticated knit fabric, high abrasion resistance and reduced weight thanks to the all-round protective coating, Vibram MegaGrip sole conceived for climbing and return routes on technical terrain, the lacing system derived from Mythos climbing model regulates tension and inner volumes in one simple move. 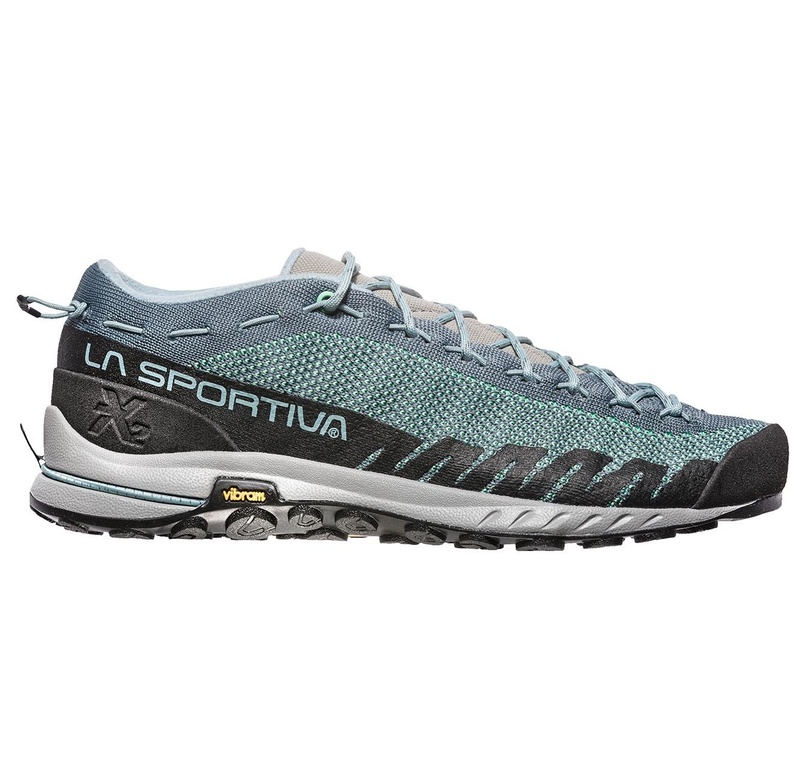 All features that combine the comfort of a trail running shoe to the technical characteristics of a climbing shoe. Traverse X is the ultimate expression of moving in the mountains quickly and safety. + Essential design uppers with no stitching. The “knitted” fabric allows to obtain a construction with different degrees of elasticity within the same fabric. + The all-round protective coating ensures high abrasion resistance and contained weights. 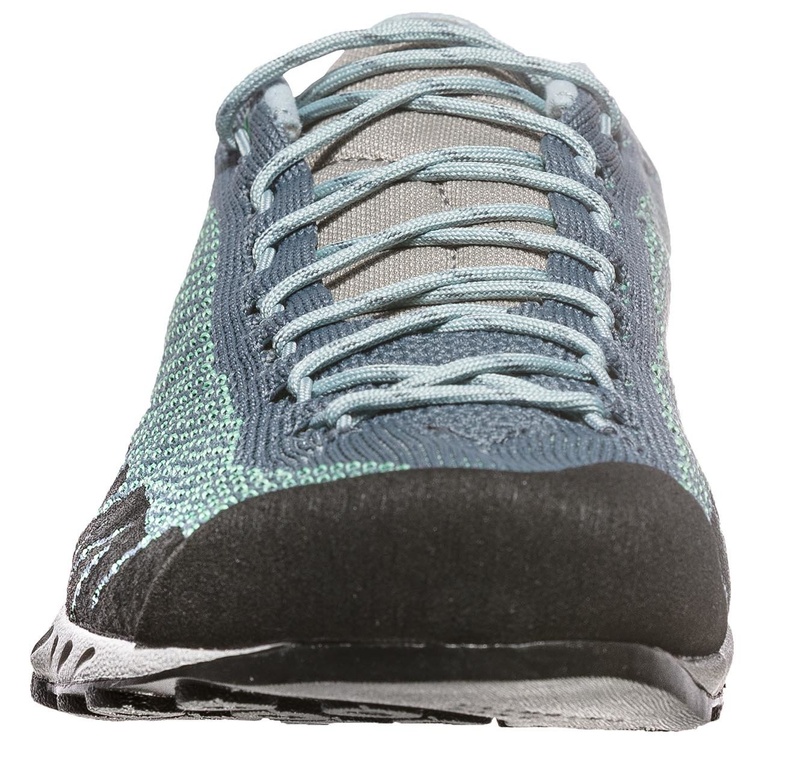 + Single layer uppers provide enhanced comfort and breathability. 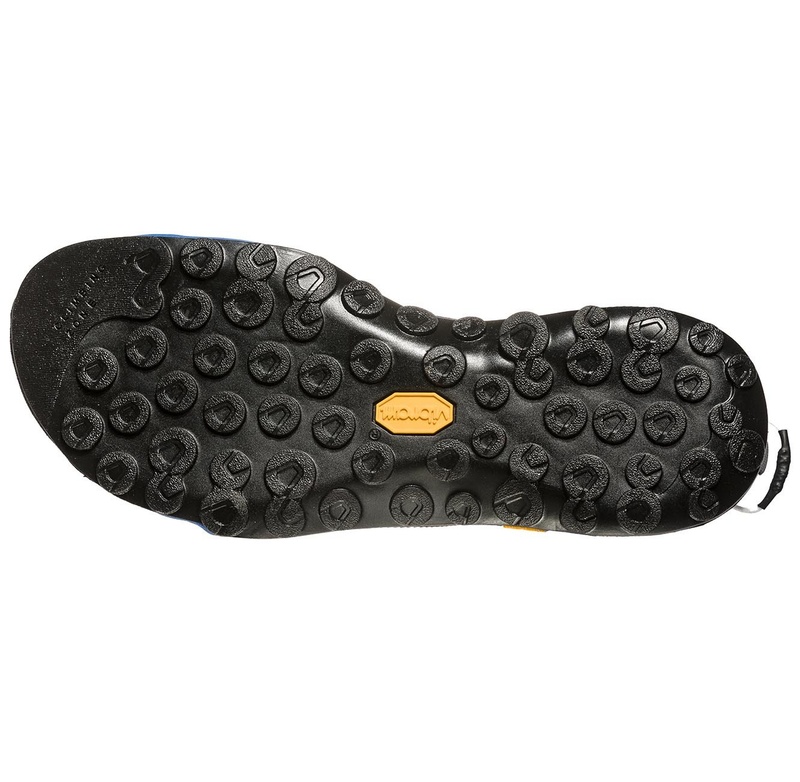 + Vibram MegaGrip Sole with climbing zone and suction pads designed for climbing and for return routes on technical terrain. + rubber, all-round protective coating. 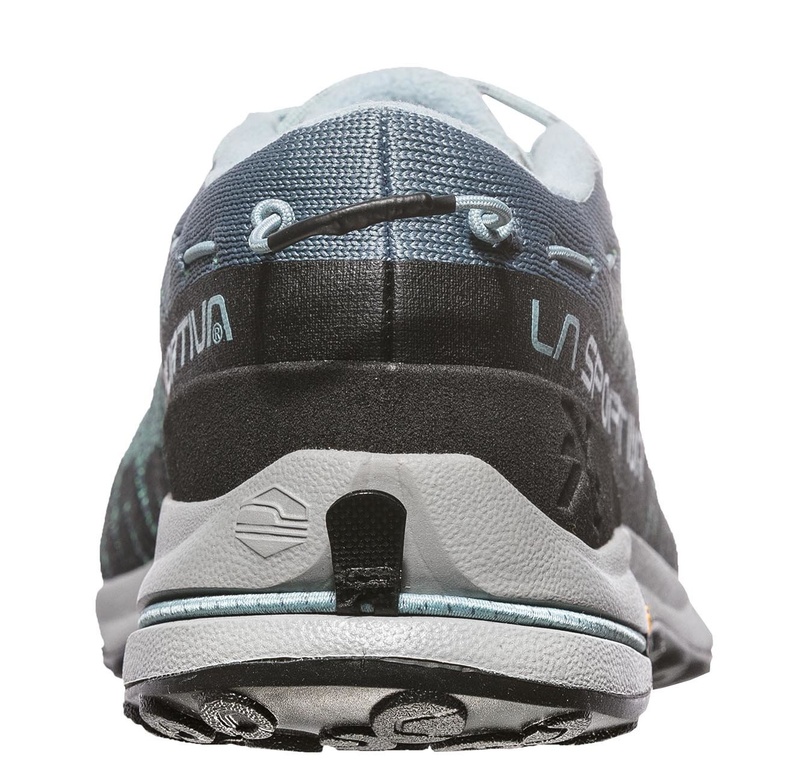 Midsole: Shock absorbing, injected EVA. Patent: C2-Combo Cord, lacing system derived from the Mythos climbing shoe. Sizes: 36 - 47,5 (including half sizes). Weight: 560 g (size 42).